Food $ense offered healthy eating campaigns at two of our partner schools in May. 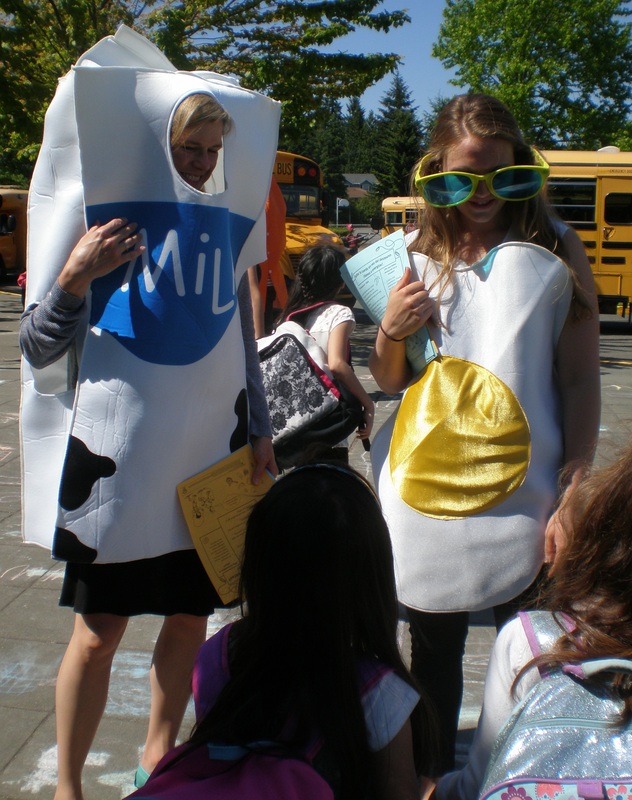 Seahurst Elementary School partnered with F$ to highlight the importance of a healthy breakfast. As part of the campaign, F$ visited each classroom with a nutrition message and provided support materials to teachers and staff. 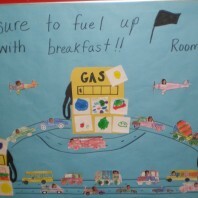 Some classrooms even created murals to promote eating breakfast every day. Every student at Seahurst also received a jump rope from F$, to tie in with the overarching message of the campaign: “Skip Rope, Not Breakfast.” Students learned that breakfast is not only an important part of a healthy diet, but also helps them to do their best in school. Food $ense also partnered with Midway Elementary School for a Fruit and Vegetable Campaign. Much like the Breakfast Campaign, each classroom received a visit from a F$ educator and supporting materials. 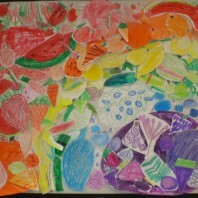 Several classes also created murals to promote eating more fruits and veggies. 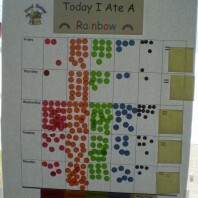 One class even tracked the colors of fruits and vegetables they ate during the month-long campaign. Great job and many thanks to Seahurst and Midway for participating in these excellent campaigns! 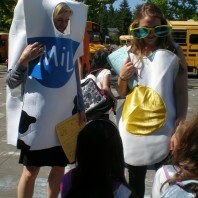 Food $ense educators dressed as healthy breakfast items such as milk and an egg greet students with handouts and smiles. 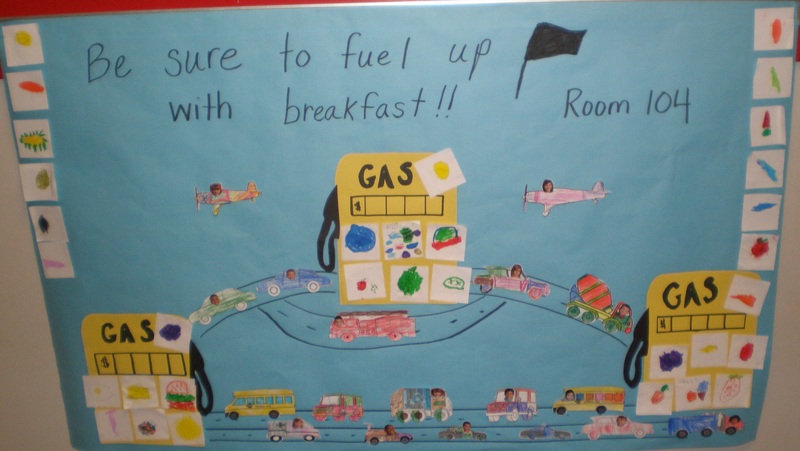 A student-created mural promoting fueling up with a healthy breakfast. 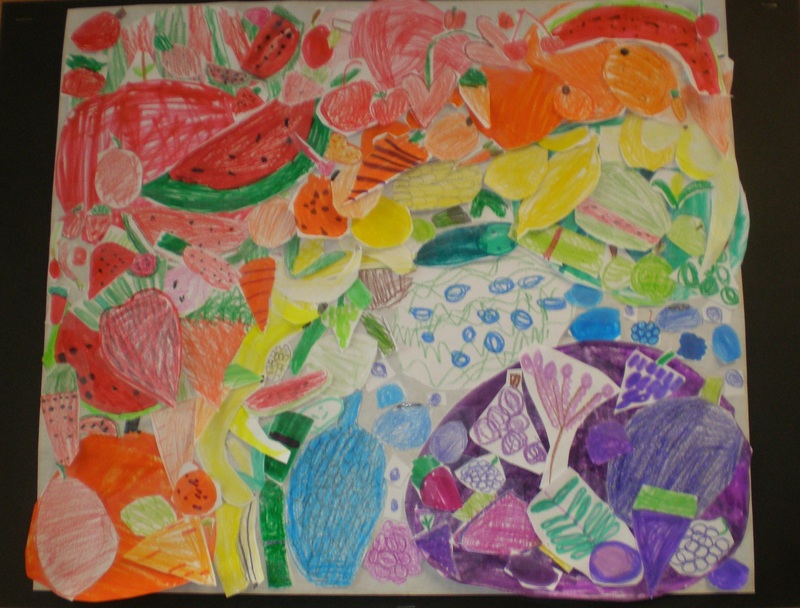 Students learn the importance of eating a rainbow of colorful fruits and vegetables. 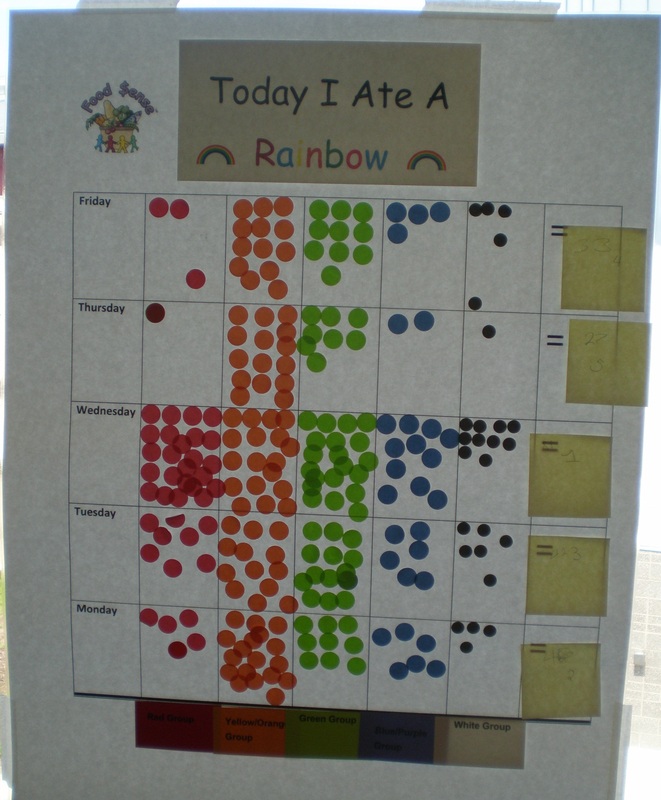 Students track the different colors of fruits and vegetables they ate throughout the week.